Spring collections are shown in September, and trends are set then. However, we are so focused on fall/winter, who can even think about spring? Now that it is the new year, and it's officially my least favorite time of the year, I will be looking toward spring time in hopes that I can escape the gray abyss known as January and February. 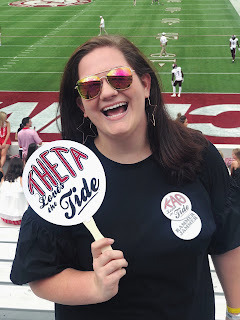 Today I am sharing my four favorite trends that will start popping up very soon. I for one am very excited about what is to come. Spanish Influence | Oscar de la Renta was the obvious choice for this trend. 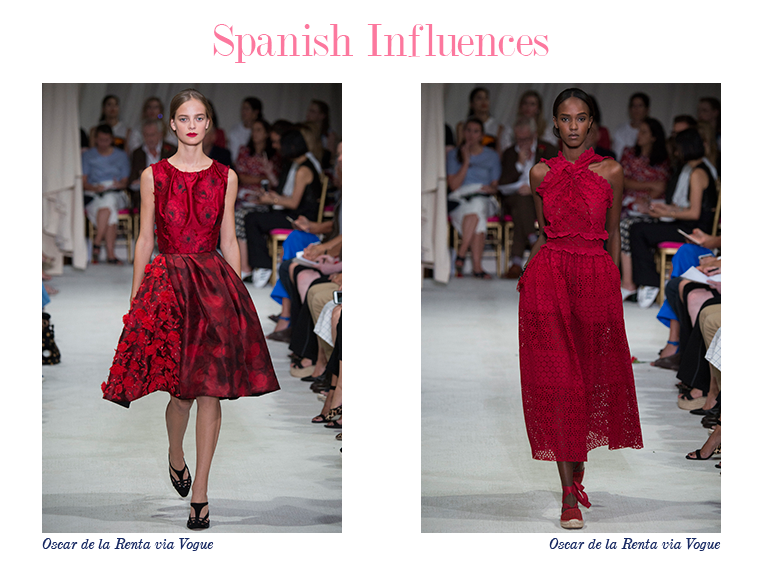 Peter Copping specifically went back to de la Renta's red carnation color and picked up Hispanic influences because of Ava Gardner's lover. 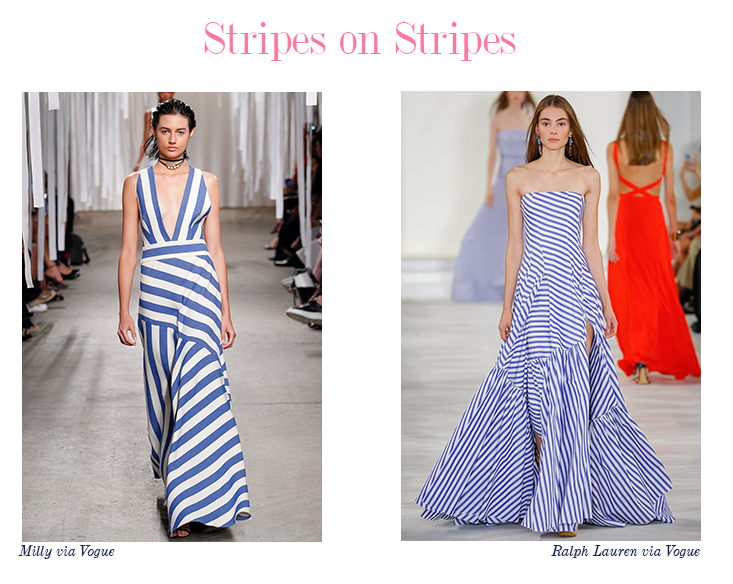 What I specifically love about the Oscar de la Renta Spring collection is you can tell where it came from, yet it has newer touches. Again, something Copping strived for. This is absolute from collection from Spring Fashion week. Cold Shoulder | One of my favorite things is off the shoulder tops and dresses, and I also love the halter style. This trend combines both. *happy dance* Elle called it "the X-Factor." 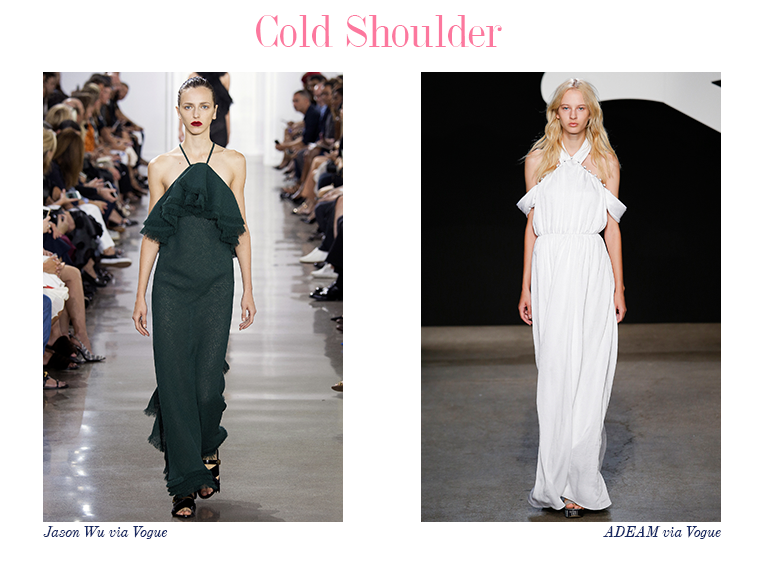 The Jason Wu dresses also combines another trend this season: ruffles, and the ADEAM collection combines both New York and Japanese influences. 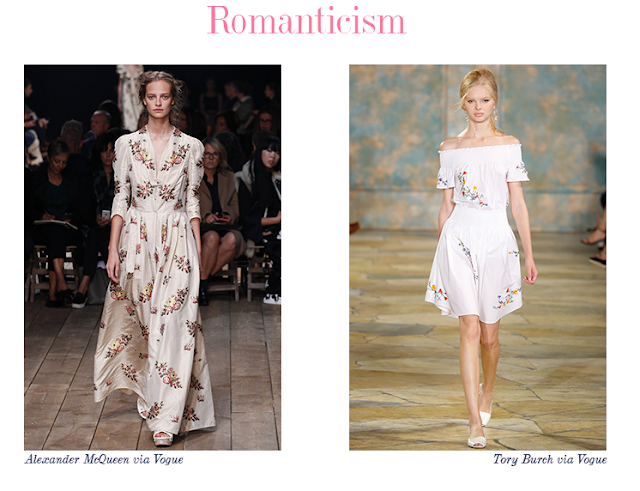 Romanticism | Lately, I've been loving Free-People and more flowy, floral outfits. The Romanticism trend fall in perfect with that. Very pretty and girly, yet also relaxed, which I adore. Can we talk about that Tory Burch dress? Stripes on Stripes | Stripes are always a good idea, so now that they're "in style," my life has been made. Y'all, the more stripes the better, in my opinion. This might be the trend I am most excited about.